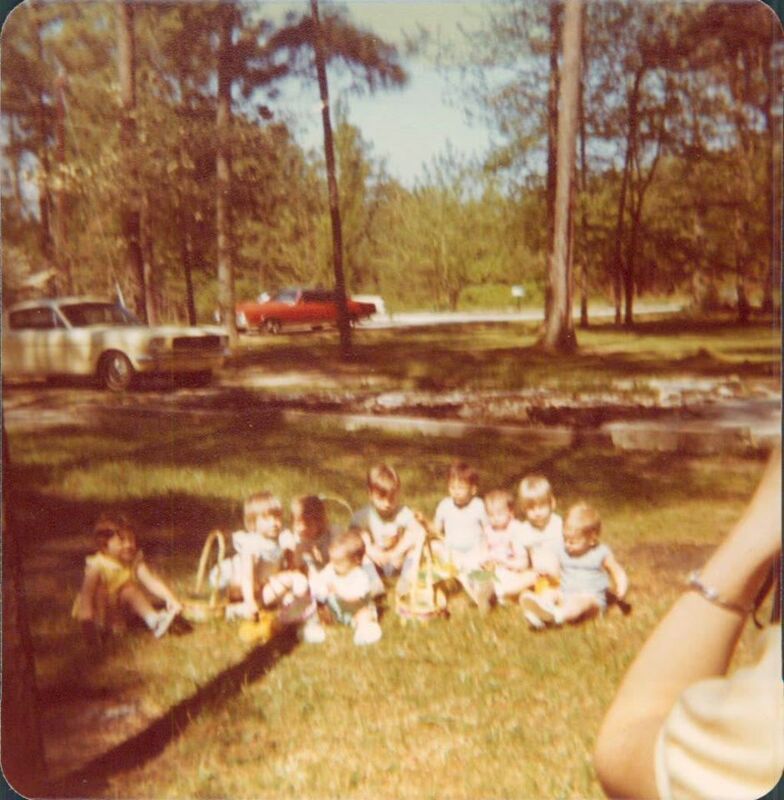 The Story: My wife’s father purchased the yellow with black interior 66 Mustang 2+2 new, late in 1966 from Wade Ford in Atlanta for my mother-in-law. The car had a 298 2-barrel with an automatic transmission, and a radio. Deluxe hub caps and white wall tires were the only additional options. At the time, my mother-in-law didn’t have a driver’s license so she and my wife learned to drive in the car eventually leading them to take their drivers test in the Mustang. Later, my wife used the car to drive to school and work. It was a cherished car by my wife’s family and a car that they used on many vacations which included three trips to Mexico and one all through the western United States. It’s hard to imagine they made those trips in the ’66, as the car did not have air conditioning, power steering or power breaks. The car was a daily driver with well over 100,000 miles and was involved in several incidents, such as a tree limb falling on the top and a couple of small fender binders in the front and rear. However, throughout its life, the most traumatic of them all was my father-in-law parked the car under pine trees for over 20 years. All five of his children wanted the car so he just parked it. For him there just wasn’t a solution that would work within the family without some strife and hurt feelings. The day before my father-in-law passed he told me to go get the car and fix it up. I was the only one in the hospital room when he said that and I knew no one would really believe me. I offered to purchase the car from my mother-in-law for $1,250 and told her if anyone in the family wanted to pay more they could have the car. Fortunately, no one wanted to offer more. The Reasoning: I’ve always been a car guy. My brother returned from the Navy and started taking me to the drag races. I began working on his cars when I was eight years old. I even bolted a shifter out of his 34 Chevy in my wagon that I would shift when I coasted down hills to pretend I was driving a car. Those were great times which lead into the muscle car era of the 60’s. 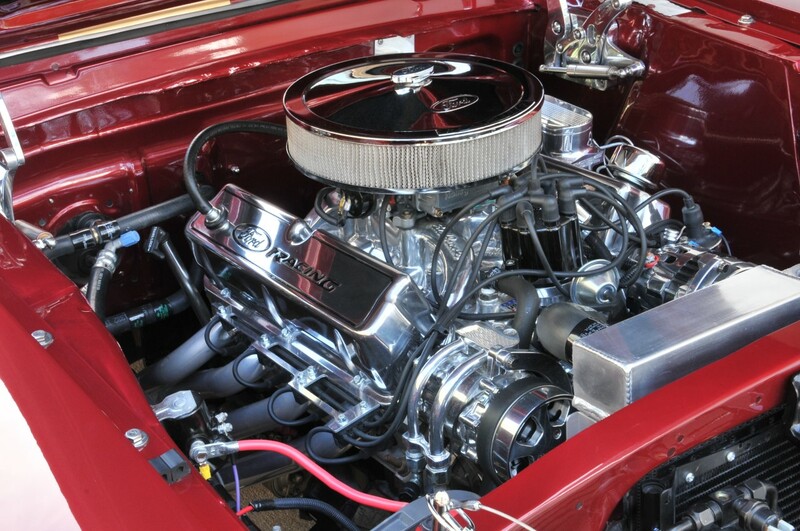 By the mid 60’s I had saved enough to purchase a new 66 GTO with a 4 speed, which was my first hot rod. I was stung with the car bug. While attending a car show with my brother-in-law, Ford offered to pay me to wax their cars, which I would have done for free, and I accepted. This allowed me the opportunity to check out the Shelby Mustang and of course began a love affair. 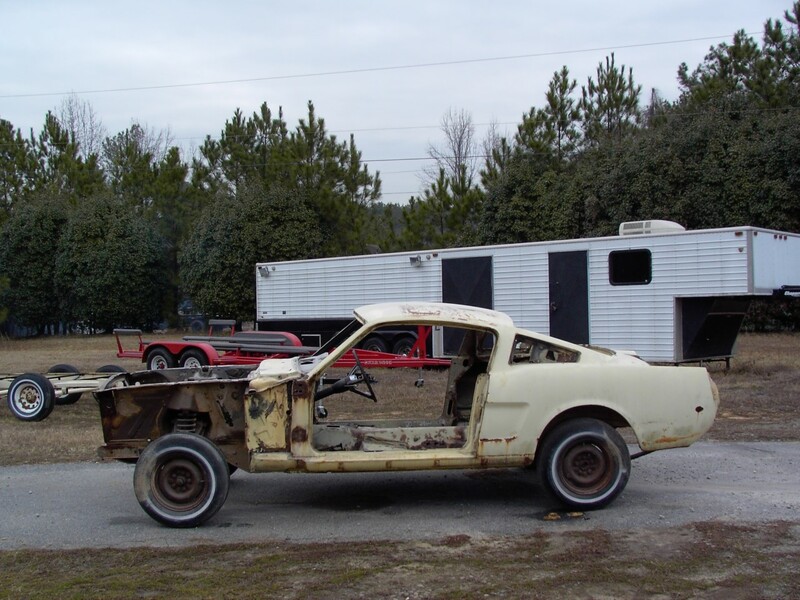 This love carried over to the opportunity to restore my own Mustang. 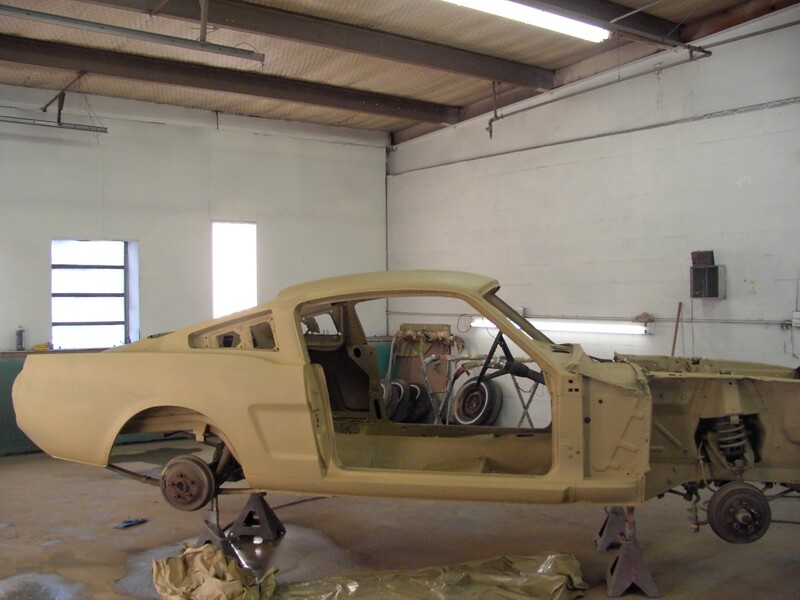 My favorite color is red and after seeing a red Shelby GT350H I was hooked on the color before the project began. I finally acquired my father-in-law’s Mustang. It was time for the restoration, and that wasn’t going to be simple. The car was in such bad shape. So, as most hot rodders do, and with my love for Shelby’s, I forged ahead to turn this car into a Shelby GT350H. Most of the sheet metal needed to be replaced as rust had taken its tow on the car. 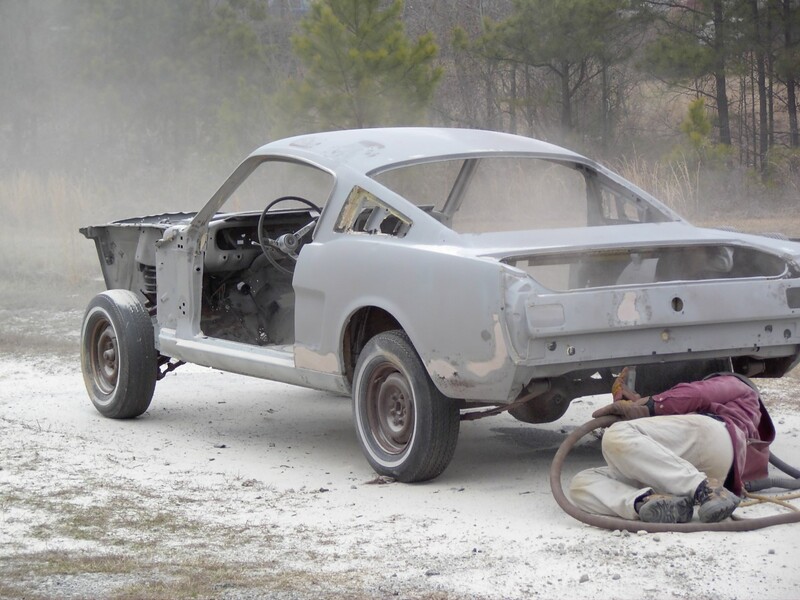 I never considered simply restoring the car back to its original state. I guess this is what happens when you give an old car to a hot rodder. Since that time, I have come to appreciate all original cars and probably would have taken a different path if I had it all to do over again. 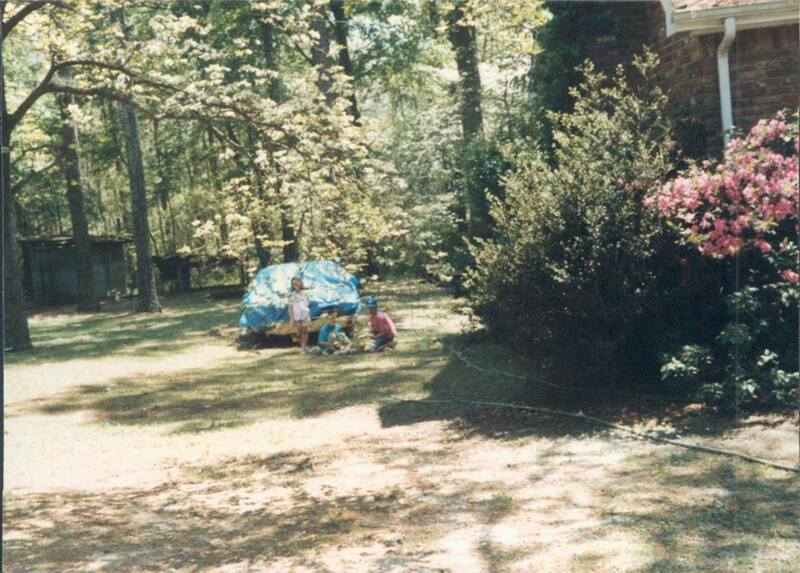 The Project: The restoration began in 2002 when my youngest son Scott and I took the car apart. We took everything that was bolted to the car off except the necessary items to keep the car moveable. 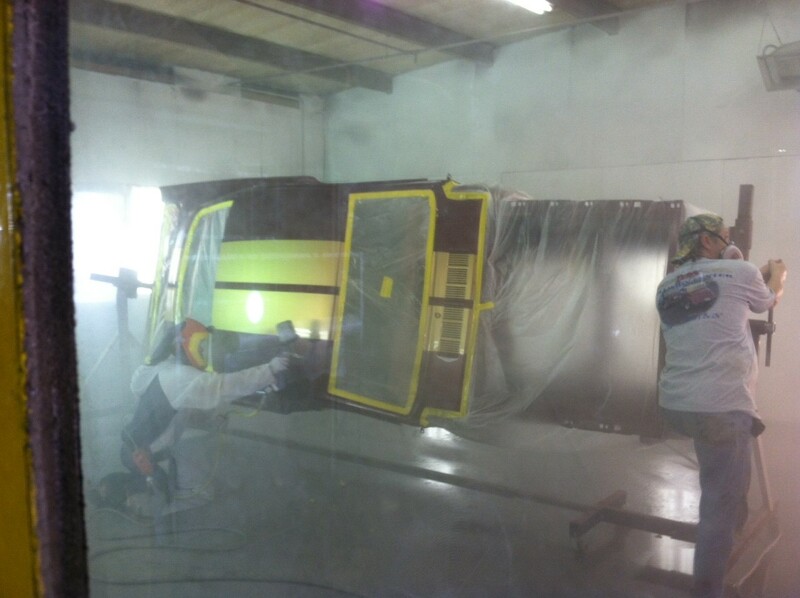 I hired a guy with a mobile sand blasting set up to come to the my friend Don’s body shop and had the car sand blasted inside and out. 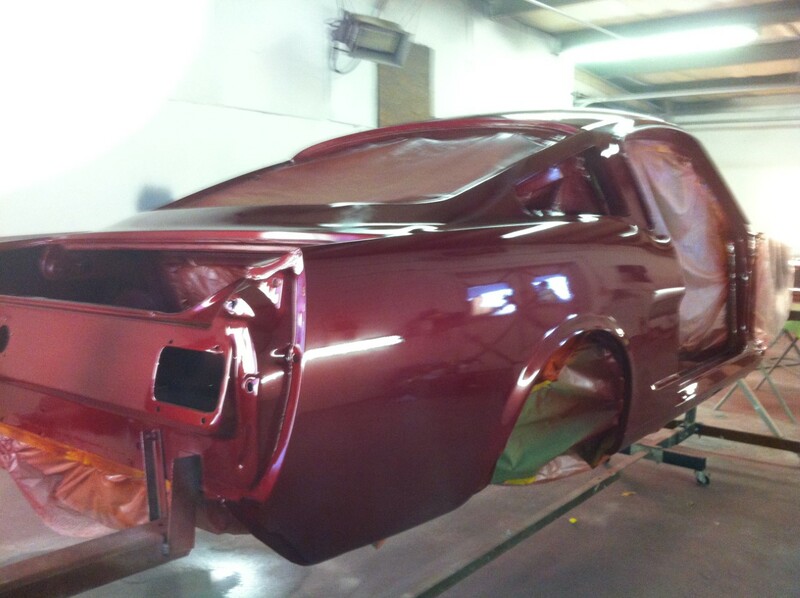 We sprayed the car with a rust inhibitor primer. 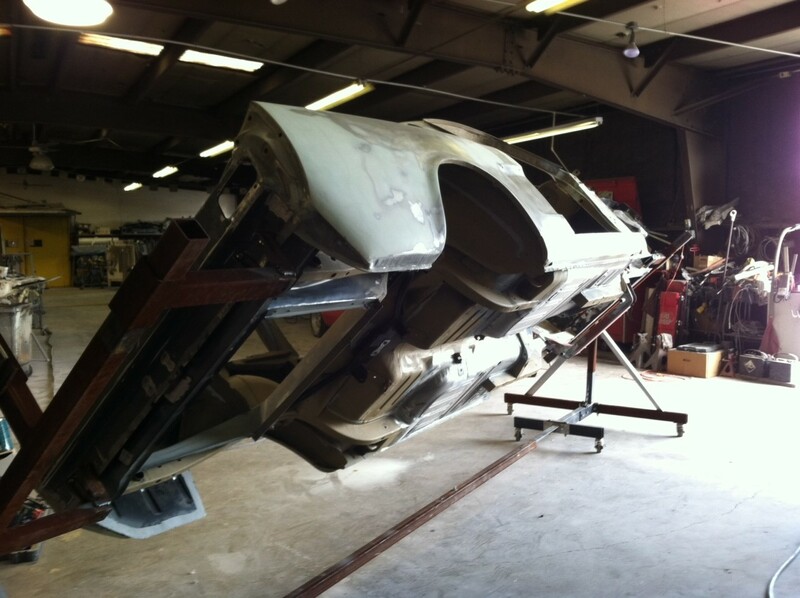 At that point I turned the project over to the experts to begin the journey (which took 12 years) and they began the body work. I purchased new doors, fenders, hood, trunk deck, floor panels, fire wall, quarter panels, all the sheet metal in the trunk, gas tank (was so rusted it was full of water), a donor cowl so we could remove the old cowl to replace all the sheet metal under the it and then had other sheet metal fabricated that wasn’t available from the manufactures. The only part of the car that is original is the remainder of the body and the windshield wiper wipers/motor. The next decision was the running gear. I originally selected a fuel ejected motor and transmission out of a 1998 Mustang which led me to purchased one from a Mustang junk yard. That was later scrubbed as I saw a Fairlane at a car show in Cherokee, NC with a Ford Racing 302 and that led to a conversation with the owner asking him if I could hear it run. I was hooked and went to Mustang Unlimited and purchased the Ford Racing 302, a Performance Automatic AOD transmission, a Total Control coil over rear suspension, a Heidt rack and pinion front suspension (removed the shock towers) a Currie 3:55 positraction rear end, and all the other stuff that makes it all work. I knew I wanted power disc brakes, power windows, power door locks, leather interior, AC, etc. so that was purchased later. 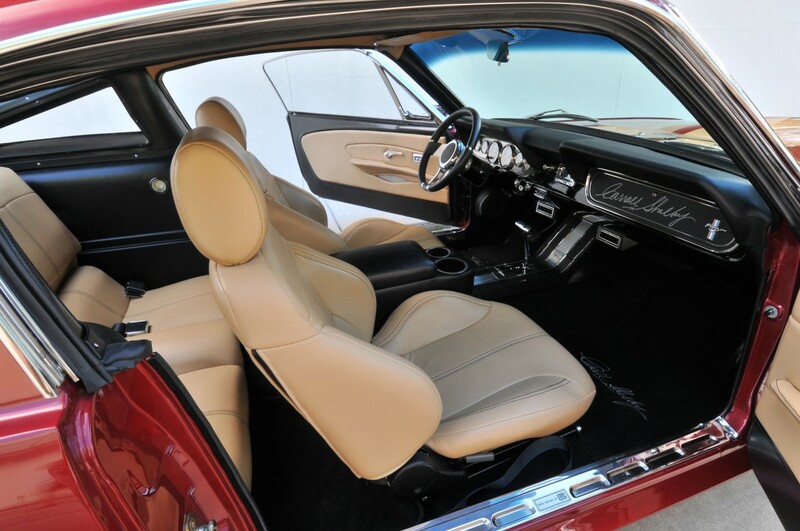 It was set to be a Shelby GT350H on the outside and handle and drive like a new car, and have all the comfort of a late model car including PROCAR seats. Finally, 2012 the car was finished and ready to roll. It is a great car to drive and actually gets 18.8 MPG with the AC running. The reception has been tremendous; people give me thumbs up as we drive the car. They pull up beside me, rolling down their window just to talk about it. Often other enthusiasts drive into the gas station asking questions and taking pictures. 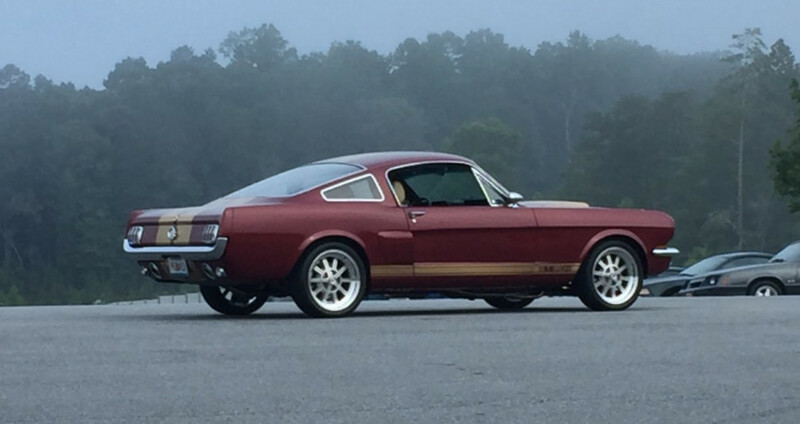 My Shelby has won many awards, including four Best in Show Awards. One particular show the judges said that I actually won Best in Show, Best Interior, Best in My Class and Best Paint. They decided to give me the Best in Class Award and Best in Show and give the runners up the other two, which was fine with me. What an honor to be so recognized! It’s not just about the awards though. It is also about the people I have meet and the friendships I made along the way! I know my father-in-law would be so proud!